Traditionally artist paint their masterpieces keeping in mind the pairings of complementary color palettes. 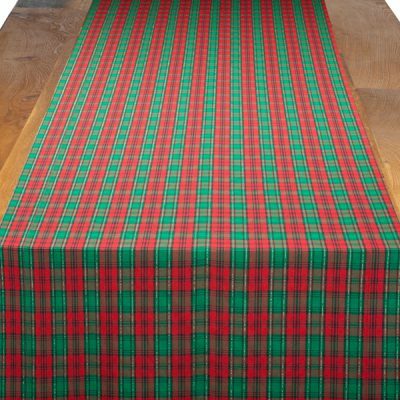 Our Red Green Holiday Plaid is the perfect pairing of the most famous hues in Red and Green. Splashed with interwoven hue of black, this is the perfect setting for your holiday event with a textile from the past. ?20″ X 108″, with a 2″ hem and straight ends.